AUSTIN – When Richard Taylor and his late wife, Sally, moved to Texas in 2001 and bought land in the heart of Mason County, they knew their work was cut out. The land, which had been overgrazed and overworked for years, was in desperate need of restoration. 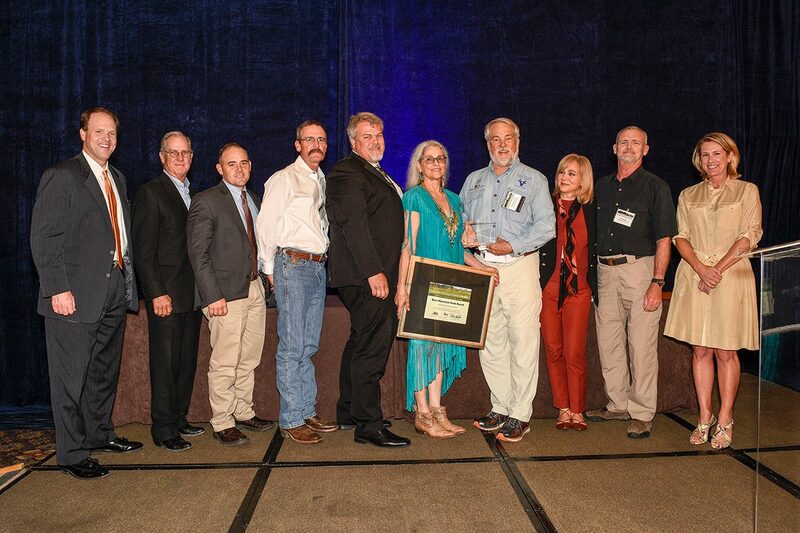 Fifteen years later, the Taylors’ dedication to habitat and wildlife conservation has earned their Blue Mountain Peak Ranch recognition as the 2016 Leopold Conservation Award recipient for Texas. Richard Taylor and partner Suzie Paris accepting award. Taylor and partner Suzie Paris accepted the crystal award depicting Aldo Leopold, the state’s highest honor for private land conservation, and a check for $10,000 at the 21st Lone Star Land Steward Awards dinner in Austin May 19. Given in honor of renowned conservationist Aldo Leopold, the prestigious award is conferred each year by Sand County Foundation, a nonprofit organization devoted to private land conservation, in partnership with the Texas Parks and Wildlife Department’s Lone Star Land Steward Awards program. Since the program’s inception 21 years ago, over 200 landowners have been honored for conserving more than 3 million acres of fish and wildlife habitat. In Texas, the Leopold Conservation Award Program is sponsored by the Lee and Ramona Bass Foundation, DuPont Pioneer and The Mosaic Company. When the Taylors purchased Blue Mountain Peak Ranch, they dreamt of rehabilitating the land to what it looked like before European settlement in the 1800s, with more live oak savannah grassland in the uplands and a higher density of woody plants restricted mainly to the draws. While they spent several years working to clear the Ashe juniper that dominated much of the landscape and allowing the native herbaceous plants to recover, Taylor began applying prescribed fires on sections of the ranch every year. With the exception of a 10-acre educational demonstration plot, Taylor eradicated all the juniper, restoring the potential for livestock grazing and allowing the grassland and wildlife to flourish. The quantity and quality of the ranch flora has thrived under Taylor and Paris’ management. 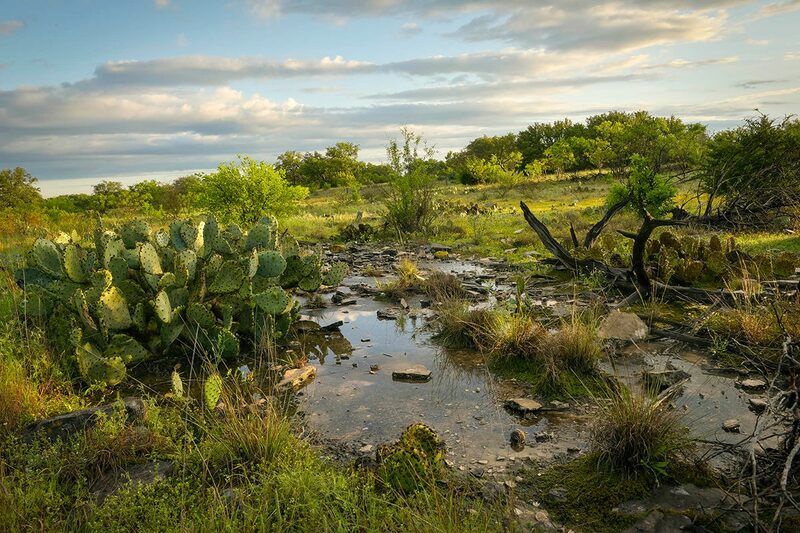 They have made improvements to rainwater catchment and infiltration through increased ground cover, reducing soil runoff and erosion, which has led to improvements in wildlife habitat for black-capped vireos, Texas horned lizards and spot-tailed earless lizards. With assistance from TPWD, the ranch undergoes an annual deer survey for harvest recommendations and has made significant improvements in buck quality and age structure. To control the feral hog population, Taylor uses a combination of trapping and hunting, which has resulted in the removal of hundreds of hogs over the years. The ranch has also served as a study site for multiple graduate level projects by Texas Tech on the effects of prescribed burning and for species such as the Texas horned lizard. Beyond the ranch, Richard and Sally co-founded The Conservation Agency, a scientific nonprofit dedicated to the conservation of natural biodiversity. To view a video feature about the Blue Mountain Peak Ranch on Texas Park’s and Wildlife’s YouTube channel, click here.